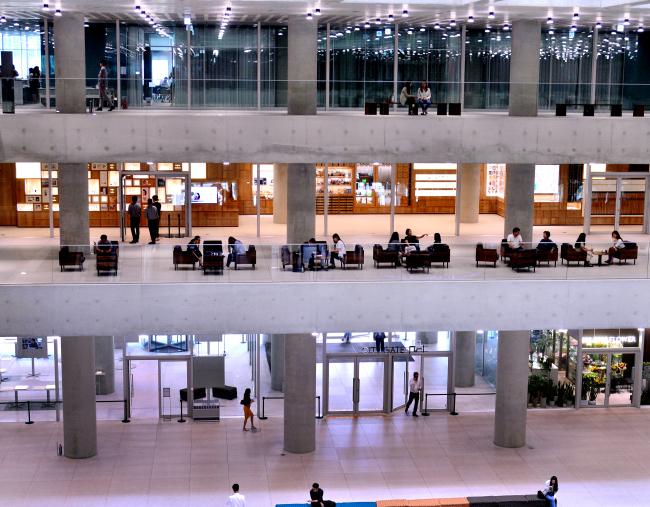 In the middle of bustling downtown Seoul, there is a building that strikes a bright, open figure, quickly making it one of the youngest landmarks of the capital and the “it” place to visit. According to Chipperfield, he was inspired by the refined beauty of a white porcelain moon-shaped pot that conveys comfortable and rich feelings without glamorous techniques, but retains elegance and simplicity. The hanging gardens on the fifth, 11th and 17th floors provide dramatic views of the city and mountains in the distance. People come here to rest and be a part of the change of seasons. The gardens were constructed based on the motif of the courtyards of traditional Korean homes. The cubic building, with a central void, offers the dynamics of local and global, private and public, formal and informal, group and individual. 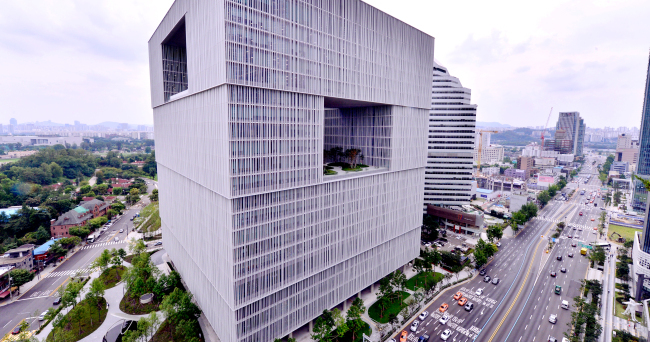 The beauty giant’s headquarters of 22 stories and 14,525 square meters took three years to complete, opening in 2017. 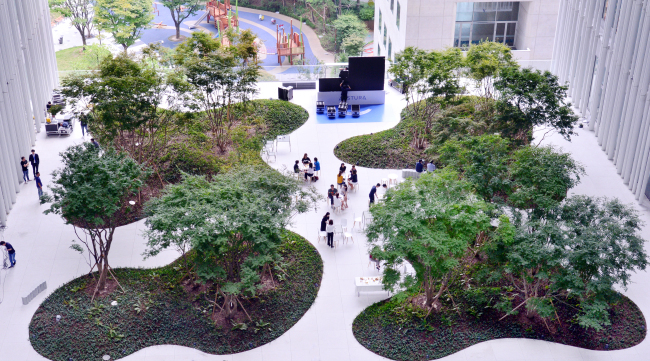 It is occupied by some 3,500 employees of Amorepacific Group and its affiliates.